Saving the lives of his family being the only thing on his mind, Mustufa, fled Khamiso village and the flood, and made it to Hameed farm. He stayed there for two and a half months with his family and was barely earning for the family by cracking stones. 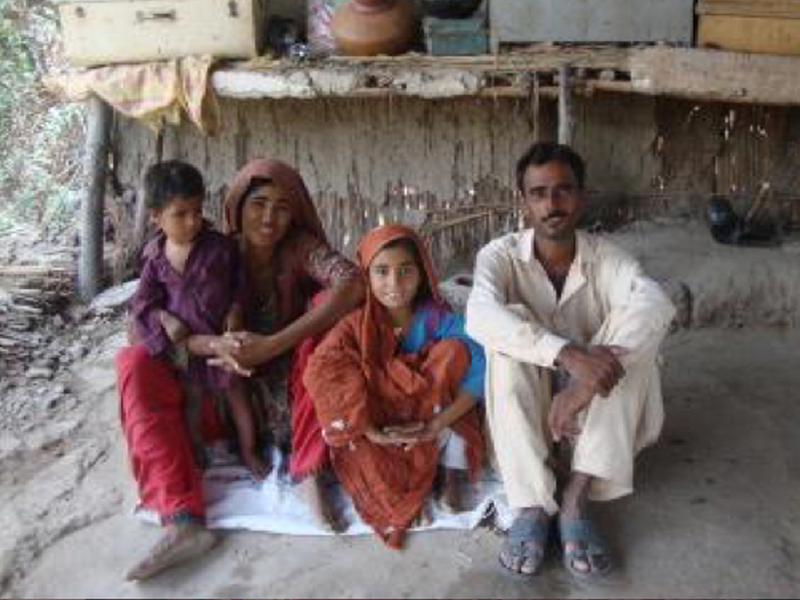 When the flood water left, Mustufa returned back to his village with this family. Nothing was left of the village though. It was a land of ruins. No house was left undamaged and there was no land left for cultivation. Everyone’s life savings and belongings had gone too. The flood had taken everything along with it. With nothing else left to depend on, Mustafa started to cut wood and sell it off for a living. As soon as the water in the village fields dried up, Mustufa started to think about re-cultivating his 4 acres of land. Before the floods, he used to produced cotton and chilies on his fields. “I started to have some hope when staff of Community World Service Asia came to our village and distributed various vegetable seeds for sowing and harvest. I was hopeful that the golden days of my life would return and I began to cultivate those seeds in the back yard of my home,” narrated Mustafa. As his land had become saline, the harvest result was not as good as it was expected. Mustufa, then went to his landlord and asked for his permission, to cultivate the remaining seeds on his land. The result of the second harvest was amazing. Only in thirty to thirty-five days there was produce in the lands. Spinach and coriander leaves were the first to sprout. 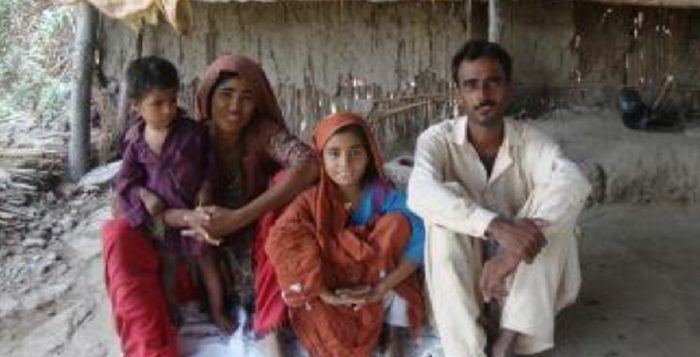 Filled with content and gratitude, Mustufa and his family cooked the first produce and had a good meal. They also distributed some among neighbors as a gift of happiness. Mustufa started selling the vegetables too. He sold 45kgs of spinach for 70Rs/kg and 15 kgs of coriander for 40Rs/kg. After a few days, okra, ridge gourd and bottle gourd were also produced. He sold 30 kg of newly harvested spinach for Rs.70/kg and earned a profit of PKR 2100. Whereas, the total profit he earned from selling 25kg of ridge for 50Rs/kg and 30kgs of bottle gourd for 50 Rs/kg were PKR 2750.
says a proud Mustufa. With the profits earned, he bought Eid dresses for his family along with fruits and meat to eat. He used some savings of that revenue for the treatment of his wife as well. Mustufa has now planned to set up a tomato nursery and has high hopes for a good income generation of it.